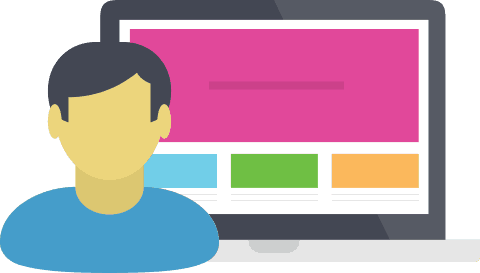 There is no point having an awesome product without an awesome website. And an awesome website is pointless without a digital marketing strategy to help your customers find you online. At Matter Solutions, we understand the intricacies and subtleties in all that is digital. Our experience spans the beginnings to the present day journey of web design, the inception of SEO to Google’s current algorithm, the creation and evolution of social media, and all other elements that make up and influence the digital landscape. We know how to talk the unique language of each digital platform and collectively leverage their power to optimise and execute online campaigns for businesses, delivering customers, increasing sales all the while building the profile of a brand on and offline within their relative industry. Yes, no problem. Lets discuss the reality though. If your website is bad or your sole goal is “get me ranking,” you’re at risk of buying SEO from the wrong people. There are plenty of low quality SEO companies keen to get you ranking quick and dirty, cheap and nasty… which can end up costing you in the long run. We take a very upfront and clear approach. Our SEO Consultant’s aren’t ineffective “account managers” sitting between you and the brains. They understand the issues and work directly with clients providing clear reports about what we’ve done and plan to do each month. We also have more senior SEO strategists and SEO analysts on the team who carry our specialised tasks for the SEO Consultants and their clients. If you need help managing your Google AdWords account, Matter Solutions are the experts you can count on. If you need help creating and managing a Facebook Advertising Campaign we’re here to help. WordPress Websites that blow you away. Benefits for visitors: They’re fast, easy to use and look fabulous. Benefits for webmasters: Fast, easy to use and the speed means SEO kudos for your website. We can build a WordPress website for you, or you can buy a WordPress theme from us. We’ll even customise it to match your branding (colours and logo). Need an inbound strategy that turns heads? Matter Solutions is a team of highly experience digital marketing consultants located in Brisbane. We want to get to know your business and help achieve your online marketing aims and objectives. Today, you NEED a web presence to sell your products or services – it’s essential to stand out and be noticed. That’s what we’re here for. There is absolutely no business on earth who cannot benefit from an internet marketing strategy. We also understand that every business is different, which is why we work closely with you to create an inbound marketing campaign that will ensure you achieve the best results and take full advantage of any opportunities that come your way. The team at Matter Solutions combine experience in search marketing – SEO, AdWords and Websites – with the skills and expertise of copywriters, video producers and PR professionals to develop comprehensive inbound marketing campaigns, designed to help your customers find you online. If this all sounds a little confusing, a digital marketing agency like us could be just what you need. Inbound Marketing is all about creating useful information and ensuring it gets found by the right people: potential customers and influencers who are attached to more potential customers. Our creative staff are an eclectic mix of qualified writers, video producers, web developers and musicians who can help you create fantastic content for a well-designed website. You’re probably sensing a pattern: content. Inbound marketing is often referred to as Content Marketing, but there is no point publishing awesome content if you don’t have a solid base, like your website, to build on. When you work with a Digital Marketing company like Matter Solutions, you’ll receive the best advice on how your website can be the linchpin of a successful inbound marketing campaign. Our planning process is comprehensive and results driven. An online presence makes it easy to keep your business current and in the minds of your audience. Interaction and engagement through social media has proven to be very effective for our clients. To build customer loyalty and gain conversions, it’s important to build a relationship with your audience and get to know them better. Social media channels and email marketing are just two ways you can leverage existing customers to build brand loyalty, engagement, referrals and repeat business. Both of these marketing tactics need to be well managed and relevant – there’s a fine line between gently prompting and spamming your audience! One of the major criticisms of traditional marketing methods such as TV and radio is that your messages are seen by a large proportion of irrelevant people that you don’t want to target. Inbound marketing couldn’t be any further from this. You have the chance to narrow your audience down by hobbies, interests and even relationship status. The more targeted your efforts, the higher quality the leads. Simple. Inbound marketing will not only help you drive more sales and leads, but also allows you to add extra value to these products or services, which could be the vital difference between you and a competitor. As Gerry McGovern says: being useful is the future of digital marketing. Our professional copywriters and content producers will create effective and compelling content that is both informative and engaging for potential customers. This will not only drive extra traffic to your website, but you will have the right traffic that can be converted into customers. Your website will become a resource that customers will want to return to for more information. Using a 3-step process, our team identify and focus on “inbound channels” that your future customers use regularly, allowing you to communicate and sell to more of your customers. For example, if we find that your best method of generating business is by capturing an audience through Twitter, then we can focus most of our efforts there. If your customers use search engines to find what they are looking for, then we engage SEO. Inbound Marketing is a no waste option. We find what works and do just that until it is working at maximum efficiency. By researching the competition, listening to you, using common sense and our team’s extensive experience, we find and work on the inbound channels that are most effective for your business. These could be common channels such as social media and search engines including left field options like podcasts, publications, white papers and even real world (offline) marketing. When we find the channel that works best for your business, we tighten the screws on it, refine the process and make it work for you. This part of the process depends on what type of inbound channel we focus on. If SEO is the inbound channel for you, then making it work would be getting your page ranking, not just for any phrases, but for the right phrases. Keyword analysis is undertaken to find where the majority of qualified traffic is. We then create onsite and offsite content in the form of blogs, video, infographics and other multimedia that is geared to be highly social, highly shareable and linkworthy. This is because links are the foundation on which Google bases a large part of its calculation for page rankings. Find out more about the Matter Solutions approach to SEO. 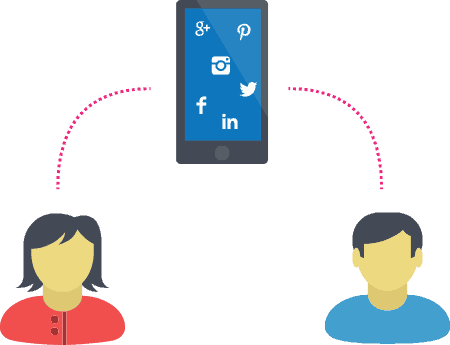 If your inbound channel is social media, then the aim would be to gather an attached social media community (likes, followers) with a view to becoming linked with people who are highly influential in your market. As with SEO, the way to approach it is by creating content that cannot be denied. This might include interesting video, infographics or academic articles that not only appeal to the potential customers but also to your colleagues, competitors and market leaders. If you can get your competitors sharing your content, that’s when you know your content is really working. Once we have your most effective inbound channels identified and working for you, we create a system to maintain it. In this way, you can respond to trends and move your focus to other potential inbound channels, gathering even more traffic and business. There are many more factors that need to be considered when developing a comprehensive digital marketing strategy. We’ll go through all those options with you during the planning process, so that you can be sure you’ve got the best possible strategy to target your ideal customer. 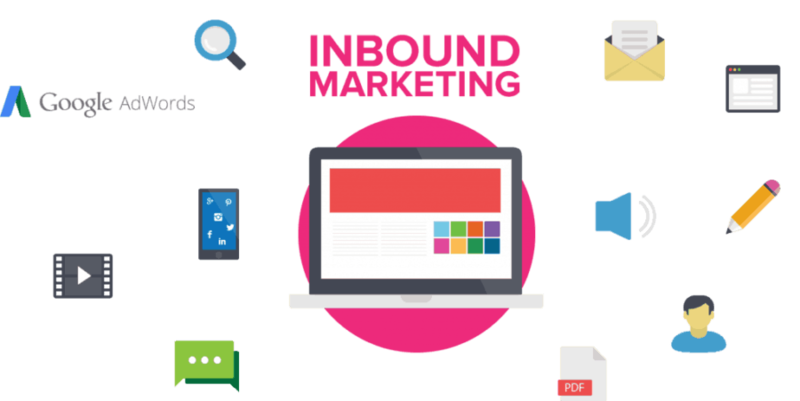 If you want to find out how inbound marketing can transform your business, contact us today or call us on 07 3117 2300.
your competitors, contact us today on 07 3117 2300.